We discovered last night that yesterday's email for Holland America Line went out with broken links to our current group offerings. Our sincere apologies for any confusion this may have caused. The corrected links are below. Happy cruising! Today we are sending the final email in our series of five special partner promotions for our primary cruise partners, featuring Holland America Line. Holland America has been taking travelers to exotic destinations for more than 140 years, and doing it with style and grace. Their staterooms are spacious, the common areas are elegant, and you simply cannot beat the variety of itineraries they offer: Caribbean, Alaska, Europe, Mexico, South America, the Panama Canal, Australia, New Zealand and Asia — as well as unique voyages to the Amazon, Antarctica and their Grand Voyages, a series of long itineraries designed to let a traveler become immersed in the history and culture of the region. 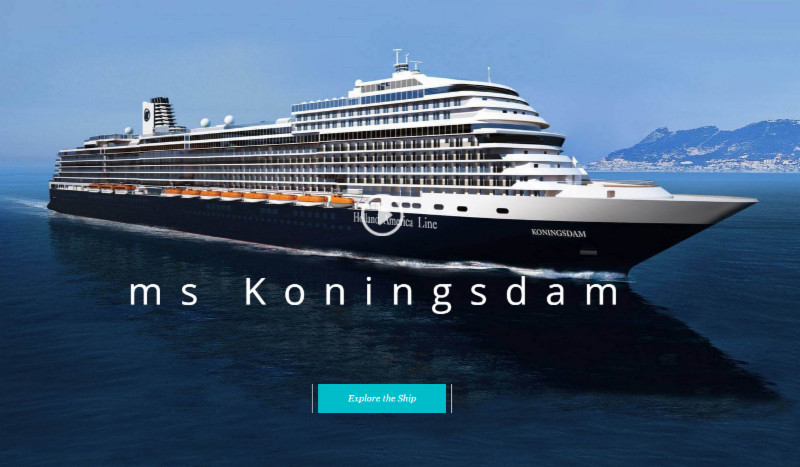 The big news for Holland America this year was the launch of their new ship, the ms Koningsdam in May. The ship features several state of the art music venues, alternative restaurants, and a stunning main dining room, all done with contemporary styling and classic elegance. Guest will also find Holland's first staterooms designed and built for families as well as single staterooms among its 1,331 guest accommodations. 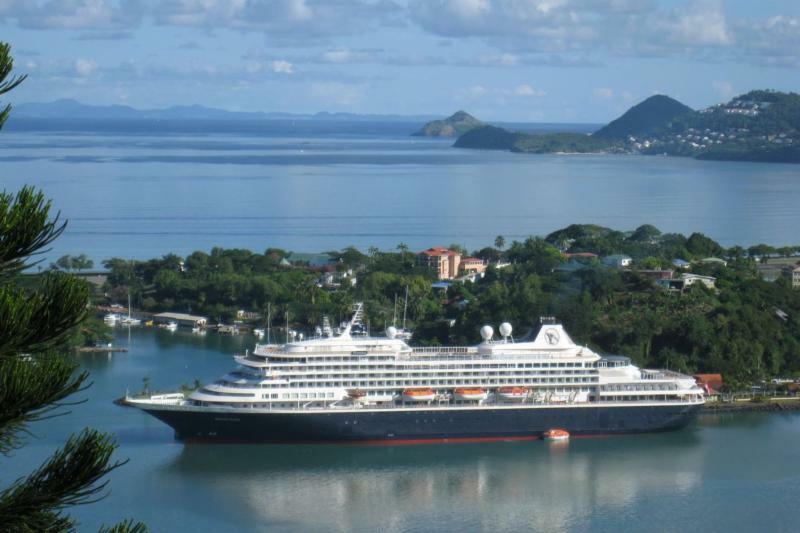 She cruises the Caribbean, the Mediterranean, and Northern Europe--let us find an itinerary for you! SUITE GUESTS receive an additional US$200 INTERNET CREDIT and PREPAID GRATUITIES (Hotel Service Charges)! See the Terms and Conditions for further details. If there is a destination you've been interested in, please call us, and we'll have a look for you! Thank you so much for your continued patronage! We love what we do, and can't wait to book you on your next Holland America cruise! Please call us at 425-827-5656, or send email to info@ptserv.com, we look forward to assisting you.